Many 9/11 conspiracy theories surfaced shortly after the September 11th attacks — some bringing compelling arguments, and some not holding up at all. Theorists believe that the World Trade Center buildings were demolished by bombs, phone calls from the planes were made up, or that former President George W. Bush secretly profited from the attacks. 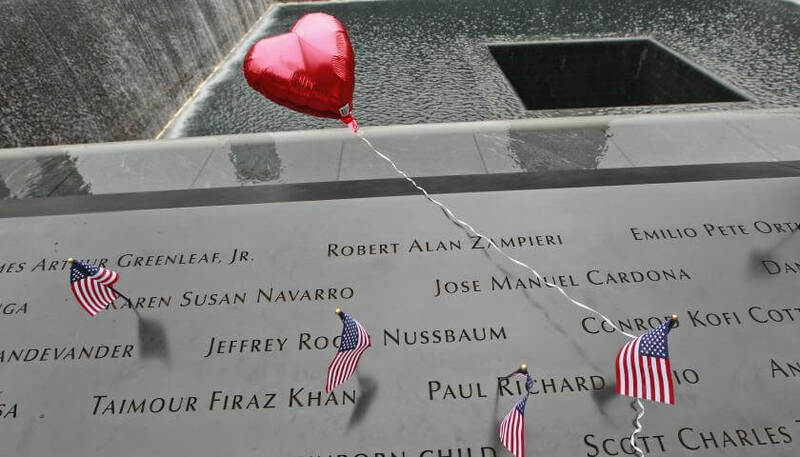 Here, we compiled a list of the 11 most compelling 9/11 conspiracy theories that exist. Right before the September 11th attacks, some fishy business happened within the stock market and insurance firms. An “extraordinary” amount of put options were placed on United Airlines and American Airlines stocks, the same airlines that were hijacked during the attacks. Many speculate that traders were tipped off about the attacks and profited from the tragedy. The Securities and Exchange Commission launched an insider trading investigation in which Osama bin Laden was a suspect, after receiving information from at least one Wall Street firm. In the event that an airplane is hijacked, the North American Aerospace Defense Command (NORAD) is prepared to send out fighter jets, which can debilitate or shoot down the aircraft. On 9/11/01, NORAD generals said they learned of the hijackings in time to scramble fighter jets. Some skeptics believe NORAD commanded defense systems to “stand down,” because of their lack of presence during the attacks. The World Trade Center collapse appeared similar to a controlled demolition. Many speculate that the towers were in fact blown down with explosives placed in selected locations. Some witnesses recounted hearing explosions inside the building as they attempted to escape. Many architects and scientists even maintain that a plane’s fuel cannot produce enough heat to melt the steel frames of the two buildings that collapsed. The Pentagon crash may be the most puzzling event of the day. Theorists maintain that the impact holes in the Pentagon were much smaller than a commercial American Airlines plane. They also question why the plane was not shot down prior to impact, as well as why the plane impacted a section of the Pentagon that was vacant due to renovations. The fourth hijacked plane, Flight 93, crashed in Shanksville, Penn. It is believed that the passengers fought back and crashed the plane into a field. Skeptics believe that Flight 93 landed safely, while a substitute plane was shot out of the sky. Other theorists believe that the passengers were murdered, or relocated and will never be found. After the September 11th attacks, the “Loose Change” documentary stated that all of the hijackers were actually alive in other countries – rather presumptuous since it is possible for two different people to have identical names. But they did raise a good point; how did the passports of the terrorists survive the explosion? In the aftermath of the attacks, passports and identification were found as evidence. Many skeptics question how identification made out of paper survived the same explosion that destroyed buildings. In-flight calls were made from cell phones in both hijacked airplanes. Scientists and skeptics maintain that cell phones could not receive reception from the altitude at which planes typically fly. Others questioned a phone call from a son to his mother, in which he referred to himself by his own first and last name. Theorists noticed that 4,000 Jewish employees took off from work on September 11, 2001. Some of the first people to record the attacks on camera were also Jewish. Many became suspicious and put the religious group on the radar as suspects in the wake of the attack. During the weeks following the attack, the planes’ black boxes were one of the most important items under investigation. They were the only evidence into what happened inside the cockpits of the plane. Three of four black boxes were found and only one was in good enough condition to hear. The tape was not initially released, but was shared with families of the victims in 2002. Skeptics believe the tapes were not disclosed in order to support a secret scheme. Initially, Osama bin Laden denied any involvement with the attacks. Soon afterward, numerous tapes came out claiming he changed his mind and took full responsibility. Many skeptics believe that Bin Laden was targeted because of his stake in the stock market, as well as because of former President George W. Bush’s personal business ventures in the Middle East. Commercial airplanes’ frames are constructed with a very light aluminum material in order to make it easier to fly. Theorists maintain there is no possible way an airplane can do as much damage to the Twin Towers as it did. They believe that missiles or explosives were used to ensure the buildings collapsed. Fourteen years after the attack, we may never know the entire story – but we will always remember the people we lost on that tragic day.